This article is about the raid battle. For the recruitable character, see Alexiel. 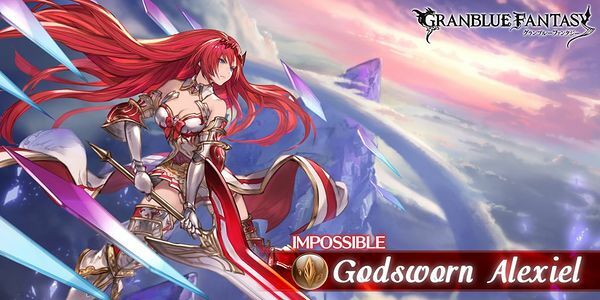 For the summon stone, see Godsworn Alexiel. Location: Chapter 87: Kluger Island - Stardrift Sanctuary Start QuestNetwork Errors will appear if the hosting conditions are not met. ~10-hitVerification needed. Earth damage to random allies. Deal 4,000 Plain damage to an ally at end of turn. Still triggers if Mirror-Blade Eruption is removed by a charge attack. Drop table last updated: 2019-04-04, all stated drop rates are estimates. This page was last modified on 17 April 2018, at 05:25.